As they reach the end of life, people suffering from conditions like Alzheimer’s disease (AD) or Parkinson’s disease can present special problems for caregivers. People live with these diseases for years, becoming increasingly disabled. Because they do not die soon after they are diagnosed, it can be hard to think of these as terminal diseases. But they do contribute to death. Illnesses like Alzheimer’s disease make it difficult for those who want to provide supportive care at the end of life to know what is needed. Because people with advanced dementia can no longer communicate, they cannot share their concerns. As these conditions progress, they also obstruct efforts to provide emotional or spiritual comfort. Someone who has severe memory loss might not take spiritual comfort from sharing family memories or understand when others express what an important part of their life this person has been. Palliative care or hospice can be helpful in many ways to families of people with dementia. Sensory connections—targeting someone’s senses, like hearing, touch, or sight—can bring comfort to people with Alzheimer’s disease. Being touched or massaged and listening to music, “white” noise, or sounds from nature seem to soothe some people and lessen their agitation. When an illness like Alzheimer’s disease is first diagnosed, if everyone understands that there is no cure, then plans for the end of life can be made before thinking and speaking abilities fail and people can no longer legally complete documents like advance directives. Quality of life is an important issue when making health care decisions for people with Alzheimer’s disease. For example, there are medicines available that might slow the progression of this devastating disease for a short time in some patients, generally early in the illness. However, in more advanced AD, some caregivers might not want these drugs prescribed. They may believe that the quality of life is already so diminished and that the medicine is unlikely to make a difference. If the drug has serious side effects, they are even more likely to decide against it. End-of-life care decisions are more complicated for caregivers if the dying person has not expressed the kind of end-of-life care he or she would prefer. Someone newly diagnosed with Alzheimer’s disease might not be able to imagine the later stages of the disease. Because of their unique experience with what happens at the end of life, hospice and palliative care experts might also be of help identifying when someone in the final stage of Alzheimer’s disease is beginning to die. Caring for people with Alzheimer’s disease at home can be demanding and stressful for the family caregiver. Depression is a problem for some family caregivers, as is fatigue, because many feel they are always “on call.” More than half of one group of family caregivers reported cutting back on work hours or giving up their jobs because of the demands of caregiving. Most of those family members taking care of dying Alzheimer’s disease patients at home expressed relief when death happened—for themselves and for the person who died. It is important to realize such feelings are normal. 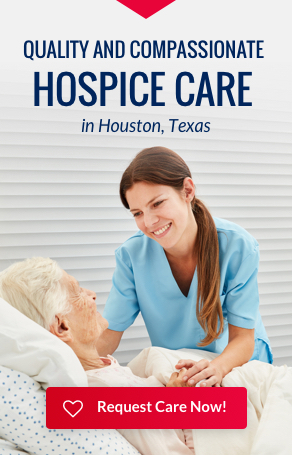 Hospice—whether used at home or in a facility—gives family caregivers needed support near the end of life, as well as help with their grief, both before and after their family member dies.